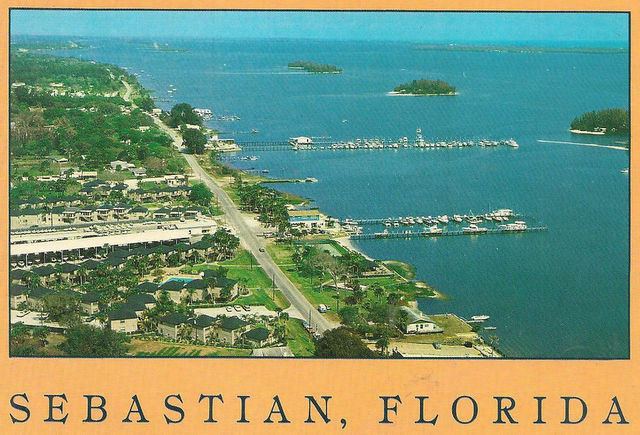 Sebastian, Florida is a small fishing village on US Highway 1 on the mainland side of east coast Florida. 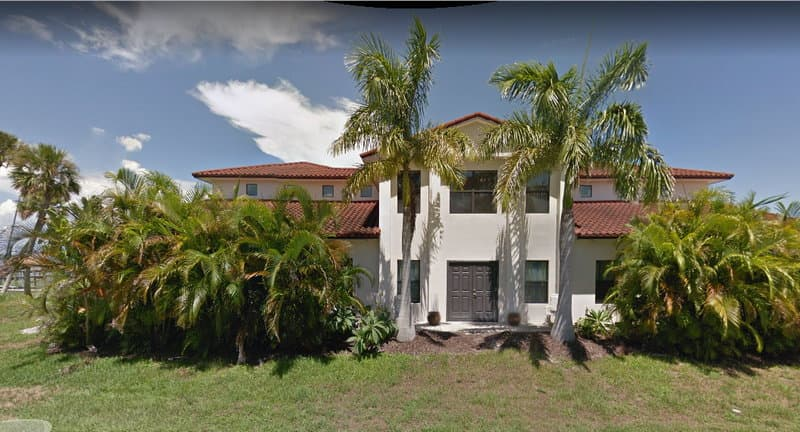 It is just about halfway between Jacksonville and Miami, and is also about halfway between Vero Beach and Melbourne, although a tad closer to Vero. It is directly across the Indian River Lagoon from Sebastian Inlet. This inlet to the Atlantic Ocean is loved and revered by fishermen and surfers from all over the world. 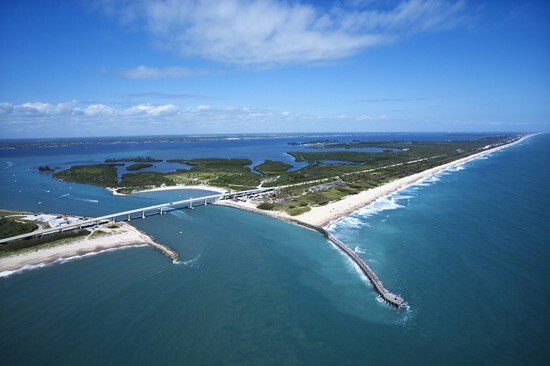 Sebastian Inlet and the entire barrier island off Sebastian is known as the Treasure Coast. The area was first noticed when the Spanish Treasure fleet sunk off the beaches during a violent storm in 1715. Professional treasure experts believe that more than $500 million in gold was lost when the ships went down. Only a small amount has been found, and gold coins still wash up now and then in the sandy beaches adjacent to the inlet. The McLarty Treasure Museum at Sebastian Inlet State Park interprets the history of the doomed fleet and is fun to visit. Folksinger Arlo Guthrie has his Florida home in Sebastian. It overlooks the Indian River Lagoon on the north side of town. Sebastian has been a fishing village since the 1870s, and was first named St Sebastian. There is plenty to do in Sebastian in addition to fishing. The inlet is nearby for surfing. There are numerous boat rental services, both for those who want to operate the boat themselves and others who just want to take a ride. It's also a nice little town for walking and sightseeing. The welcome sign into Sebastian has been a fixture for as long as I can remember. It hasn't been updated in awhile. 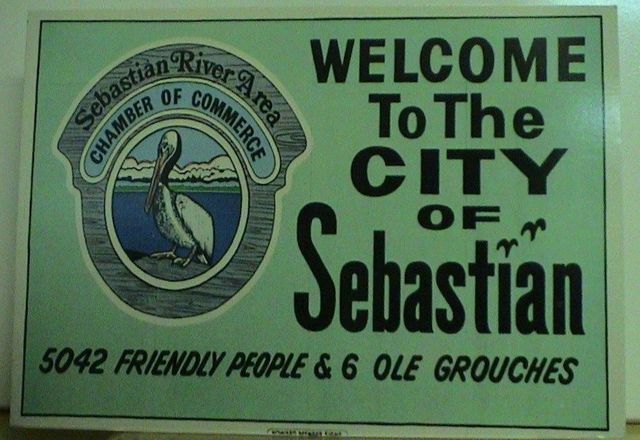 The population of Sebastian is now more like 20,000, and there may be one or two more old grouches who moved down from up north since the sign was painted. 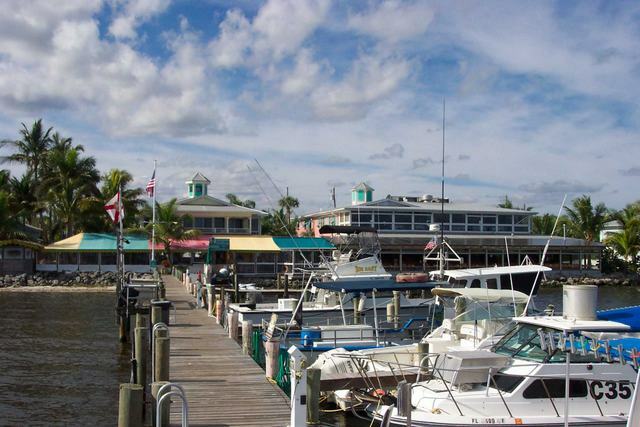 Captain Hiram's is a resort right on the Indian River Lagoon in downtown Sebastian. It has grown from a small laid back tiki bar kind of hangout to a larger and just as laid back resort. Nice hotel rooms are available in addition to the Sand Bar tiki bar and riverfront restaurant. Captain Hiram's Restaurant offers both indoor and outdoor dining. Breakfast, lunch and dinner are served to guests from Captain Hiram's own resort as well as nearby resorts and guest cottages. It is a popular place for both locals and tourists. The atmosphere is nautical and comfortable, with great views of the adjacent lagoon and marina. 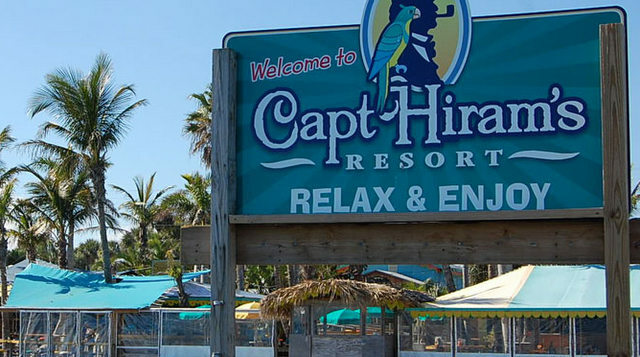 Captain Hiram's gets a lot of repeat business, and rewards these customers with loyalty cards that earn points for each dollar spent at the resort. One of the nice features here is that you can catch your own fish in the nearby lagoon or ocean and bring it into the restaurant and they will cook it for you any way you'd like. They also have great entrees like Mahi Osceola, seared ahi tuna steak, baked crab stuffed flounder fillets and broiled whole lobster tail. Their seafood pasta is also popular, and landlubbers will love their spice crusted New York strip steak. Both the restaurant and outside tiki bar (known as the Sand Bar) have full liquor service. 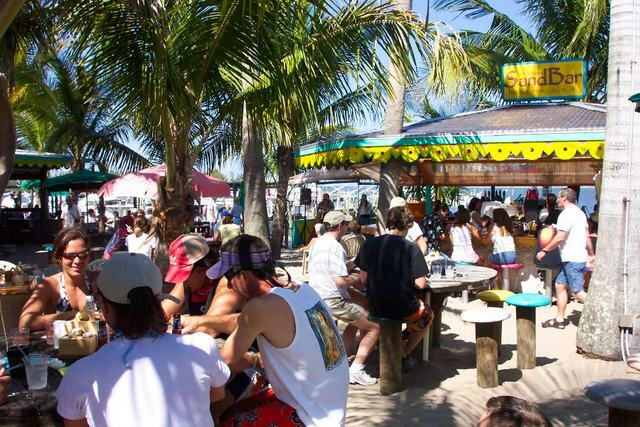 Drinks are reasonable, and there is usually music being provided by laid back musical groups reminiscent of Jimmy Buffet and others, with lots of reggae and island sounds. The Sand Bar is actually three different full service bars, all outdoors but with plenty of awnings and umbrellas if it rains. The live music comes from two different stages in the Sand Bar area.